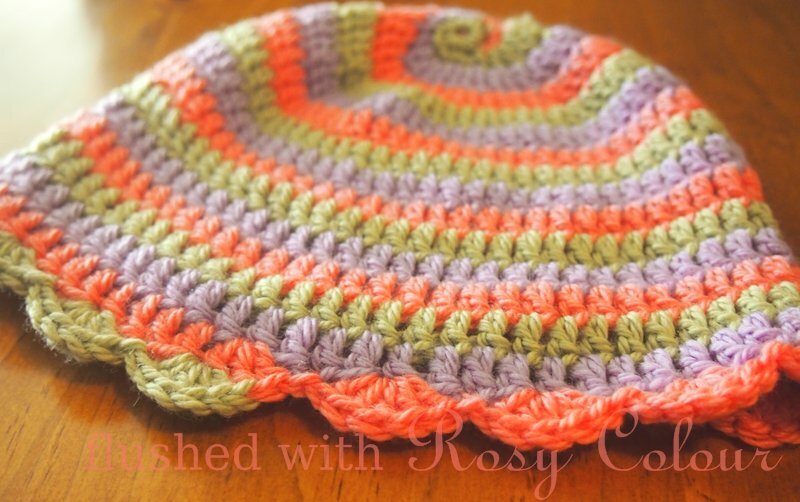 Here is a toddler sized spiral hat from my own design which I made especially for a custom order. 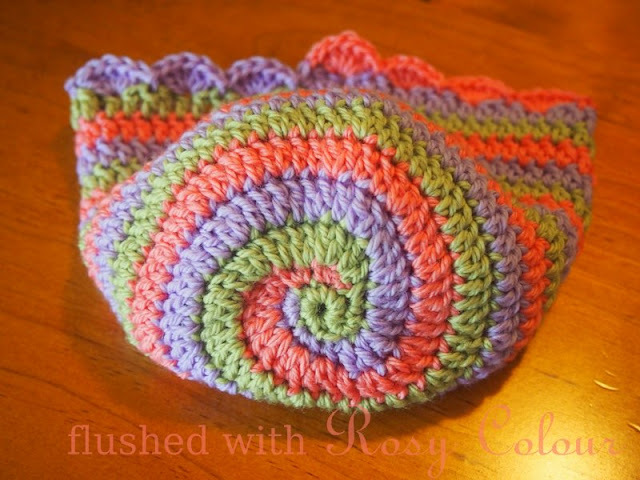 The spiral creates an uneven edge, so I intentionally finshed with asymmetrical scallops. Its truly a unique design, I wish I could write the pattern down to share but I'm quite a ways off that yet. 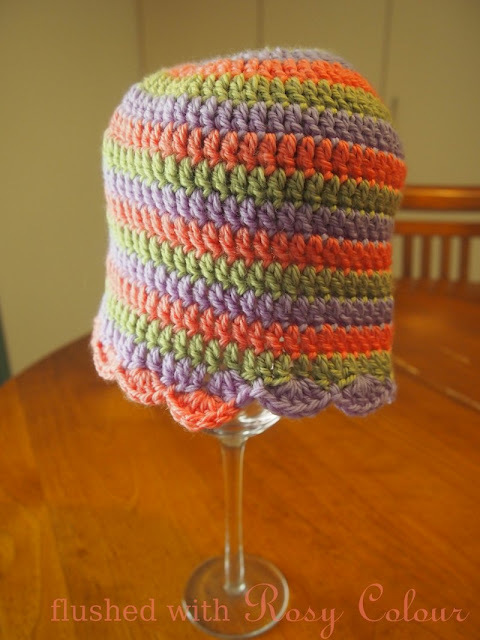 I've been working on publishing my patterns for more simpler hats which has proven to be quite a lot of work, so I can only imagine how hard this pattern will be to write! The start begins with 5 increasing rounds, the first of that is actually 2 rounds of sc. 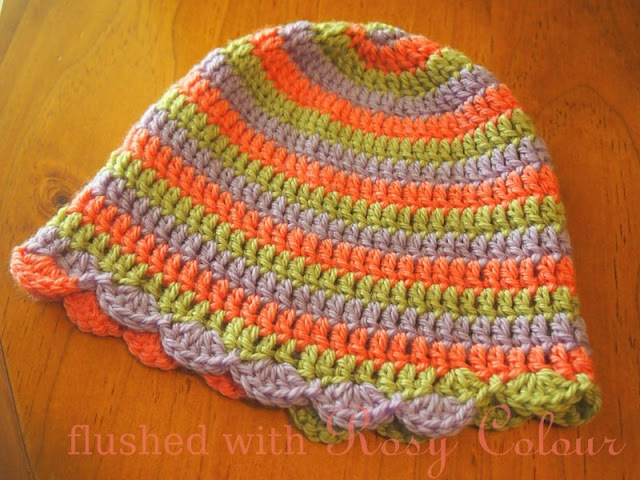 After about 5 rounds the increasing stops and the sides of the hat are worked. When the required length is reached, 60 stitches are divided by 3 and that is divided by 4 for the scallops. The scallops collapse onto the previous colour as shown in the picture above to create an asymmetrical effect. The spiral itself is quite difficult and hard to explain. I will keep making them in the hope one day I will have worked out a way to write it down in a pattern so it can be shared.